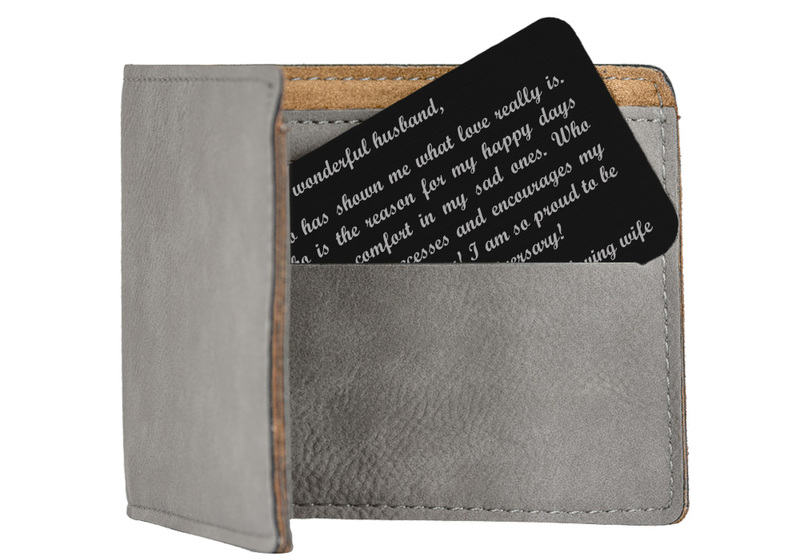 Thank him for sharing his life with you by gifting our engraved wallet card insert. Each wallet insert will be laser engraved with the sentimental quote shown, in crisp white, permanent text. Choose if you would like to present this in our signature gift pouch to add a special touch. Perfect for an anniversary gift, birthday present, or simply to show him you care. Each card is about the size and thickness of a credit card, and will not bend easily by wearing it daily. 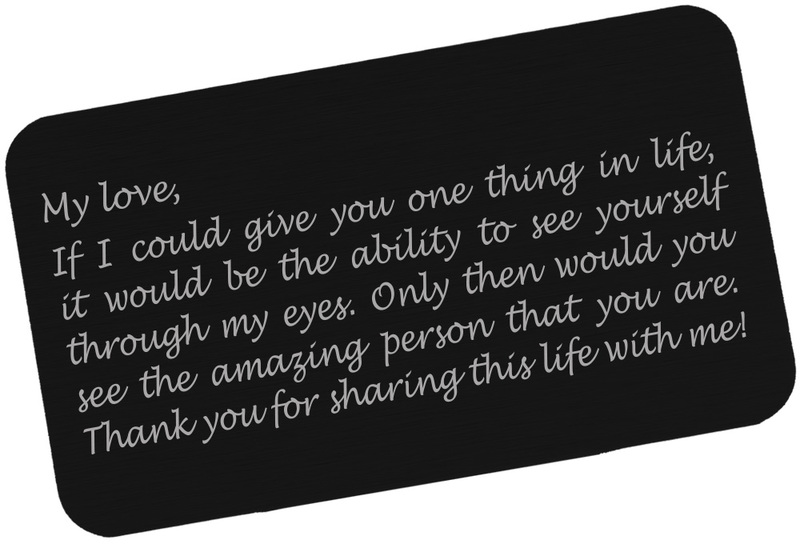 If you would like to have your own personalized note engraved, check out our custom version too. • Anodized aluminum wallet card insert has been etched with the quote shown. 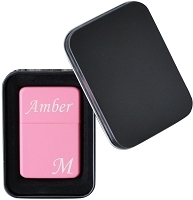 • Engraved wallet card insert measures 3.5" x 2" x .05"